Life’s too short to not have perfect skin. We have the only pain-free treatments in the country, having done over 2 million sessions in the past decade. One of the easiest and kindest natural therapies for reducing fine lines and wrinkles and treating skin conditions. Get rid of acne for good! 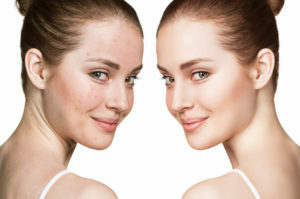 One of the most effective ways of permanently eliminating acne. Tighter, firmer skin is younger-looking skin. Increase your collagen production for a more youthful appearance.